The award recognizes a lawyer who embodies the highest tradition of personal and professional excellence and who has benefitted the community and enhanced the esteem of general practice attorneys in Virginia. It will be presented on June 18 during the VSB annual meeting at Virginia Beach. Soden is a graduate of Hamden-Sydney College and the University of Virginia School of Law. 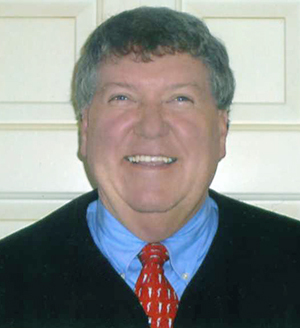 He became a member of the Virginia State Bar in 1971, first as a lawyer for twenty-eight years and as a judge since 2000. Soden is a member of the Richmond, Chesterfield, and Henrico bar associations, the Virginia Trial Lawyers Association, the Metro Richmond Family Law Association, the Virginia District Court Judges Association, the Virginia Council of J&DR District Court Judges, the National Council of Juvenile and Family Court Judges, and the Committee on Judicial Independence. He served as chief judge of the Henrico Juvenile and Domestic Relations District Court in 2002-04. He has been a lecturer at the First Day in Practice Seminar since 2002 and a member of the Richmond Bench Bar Conference since 2000. He has been a lecturer and judicial faculty member of the VSB Professionalism Course. Soden received his B.A. degree in history and political science from Hampden-Sydney College in 1968. He received his law degree from the University of Virginia School of Law in 1971.